The Number 13 and Death | Spell Hub. Brining the occult to life. 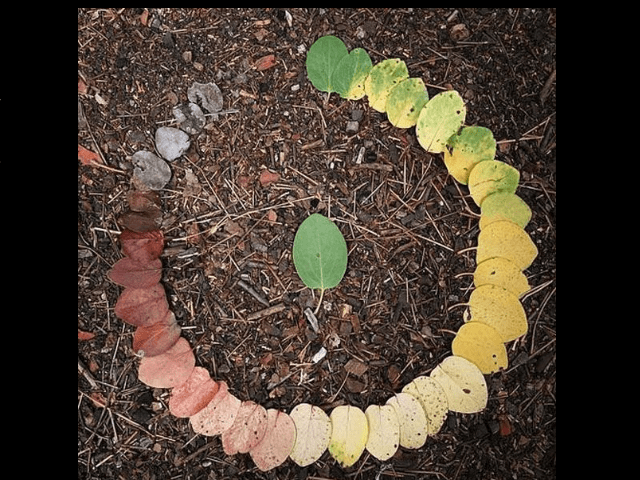 Cycle of Life represented by leaves. Attributed to imgur. number? What does 13 represent? Through deep meditation, I concluded a few key truths about the number 13. With Samhain behind us, but still fresh in our memory, it’s important to maintain our respect for the spirits of the dead. Conventionally, 13 is a number of misfortune and superstition. A time to be wary and mindful. Unconventionally however, there is still a stigma on the number because of one scary word: death. Should we really fear death and spend our lives avoiding the inevitable? The latter question is rhetorical, but we should seriously consider the former. My conclusions pulled back the taboo on death relating to the 13th number and what I believe it to represent. While we fear death, it is only part of the journey of our mortal life on this plane. Animals are born, they grow and learn, they use their experience to survive until they either die of old age, disease or misfortune. Death happens and, when we don’t apply it to ourselves personally, we respect and celebrate it. While all things die, all things are reborn or replenished. Animals that die in the winter still have their young that thrive come spring. Lives change as the seasons. It’s cyclic. It’s balanced. Life is transient, yes, but all of it is precious. Even death. Death brings the promise of renewal and change. If you have had the painful experience of losing a loved one, then you know it brings about the introspection about your own life and what you want to do to honor the memory of the departed. Sometimes it’s death that changes our actions and thoughts. When we die, wouldn’t we want to have lived in a way that will impact our own loved ones and hopefully change them for the better? Death isn’t only a change from living to expiration. It’s a profound event that changes everything around it and, for centuries, we have celebrated it. Death is scary. Death is painful. Death is also beautiful in how it changes us and, sometimes, frees us. Interestingly enough, they correlated closely with my own thoughts and what I have learned during my studies of the occult, but they also provided extra insight. Such as, death isn’t always a literal event. Death can be in the shape of putting away thoughts and philosophies that don’t apply to us anymore or no longer line up with our changed way of thinking. As we grow older and gain that experience that helps us to survive, we drop insecurities and fears that previously held us back. Those fears and insecurities die as we change into something more solidly planted. You can look forward to the death of aspects of yourself you find unappealing or negative. We happily look back at dark days when we see how things have changed for the better. Death isn’t always negative, it can be purifying. Don’t look at Friday the 13th as a time to be wary or a day to dread. Celebrate the day as a moment where you can be grateful that you have grown as a person. Reflect on what you’ve left behind for the better you. Think about what needs dying off for you to continue growing.